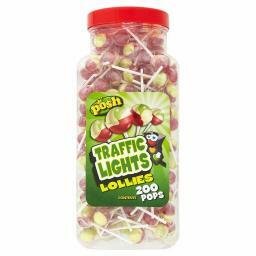 These Traffic Light Lollipops form part of our flagship POSH brand that's well known all over the world. Enjoyed by generations, our POSH Lollipops continue to leave people in a tongue tingling frenzy to this day. This jar of aprox. 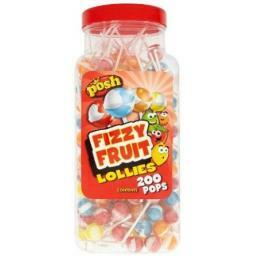 200 lollies all come individually wrapped to ensure each lolly arrives in perfect condition. They all now enjoy "No artificial flavours, no artificial colours". Once enjoyed never forgotten! 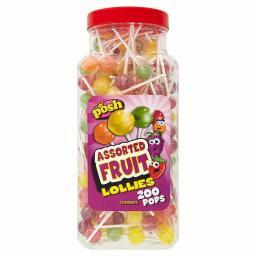 The 200 count jar are ideal for retailers or equally good for the cupboards at home. Did you know we produce the iconic Little Chef and POSH Ice Cream Soda Lollies?